Radiant Barrier in Barns, Sheds, Warehouses, etc. Due to overwhelming popularity of using our radiant barrier foil insulation in commercial applications, we’ve created a secondary website completely dedicated to installing radiant barrier in those type of structures. 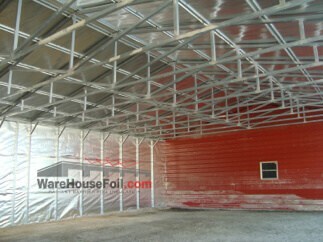 Please visit www.WareHouseFoil.com (or click on the logo to the right) to see more complete install photos with instructions & videos on how to install radiant barrier foil in metal buildings, sheds, barns, warehouses, garages, etc. On a non-conditioned building, there really is nothing better than a radiant barrier to control the heat gain. Structures like sheds, carports and barns can all benefit greatly by adding a layer of radiant barrier near the roof line and any sun-catching walls to keep the heat out. For this reason, traditional insulation is not necessary. The goal is not to make the structure airtight in order to keep cold (or hot) air inside of it; the building is vented, so it can’t be airtight. Therefore, the most realistic expectations you can have for a building that you are not heating or cooling, is to get it at (or close to), outside air temperature (also known as ambient air temperature). Getting the air temperature lowered is largely relative to the amount of ventilation you have going through the structure. However, keeping the inside of a metal structure at or near ambient temperature is practically impossible if you do not have a radiant barrier. The radiant barrier will work to reduce the surface temperatures, and the ventilation to help bring the air temperatures down. You will be amazed at how much cooler the warehouse space below feels. Normally, heat would radiate off the roof and make everything under the roof very hot, regardless of how great the ventilation is. 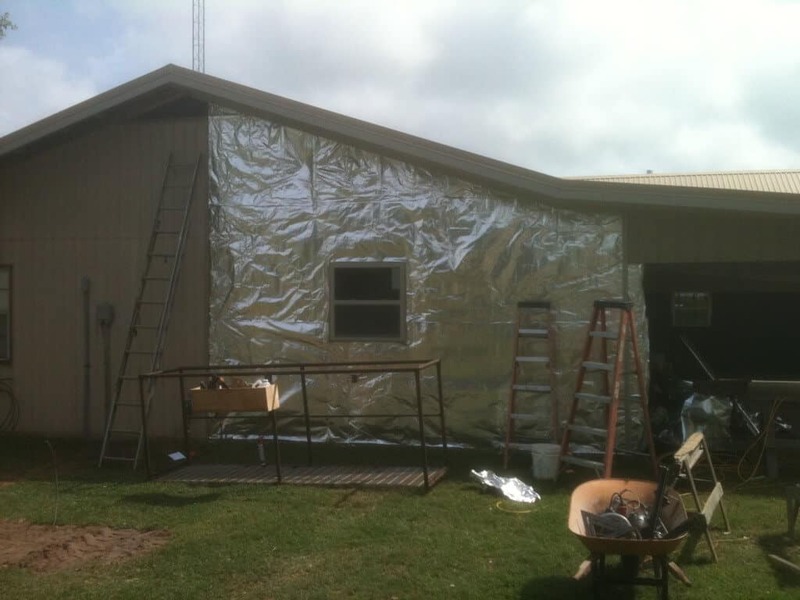 The foil works best in buildings without air condition when it it closest to the outside – acting as the first line of defense between the building and the hot roof. Radiant barrier is invaluable since it works to keep the surface temperatures down, which directly correlates to comfort. In a space that is non-conditioned, this is the best product you can use to make it comfortable without adding a/c. 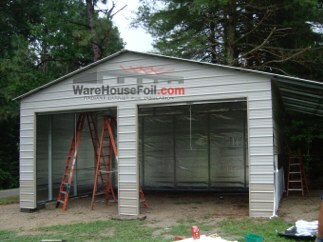 For more info, visit WareHouseFoil.com.